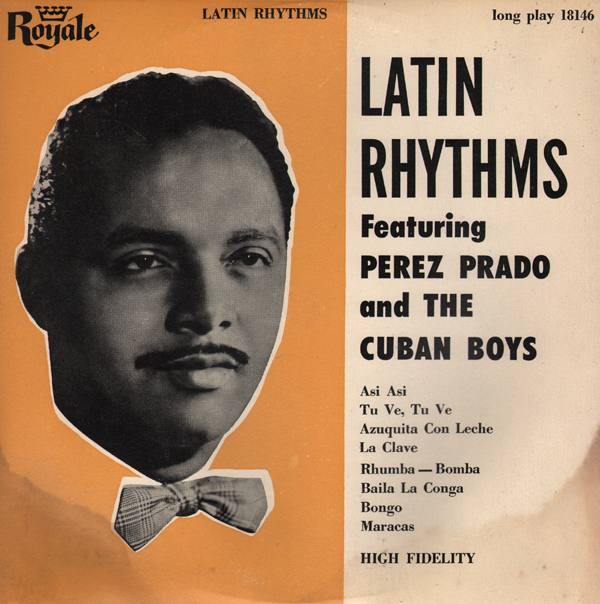 Budget label 10 inch vinyl featuring very good period Latin by a known artist. 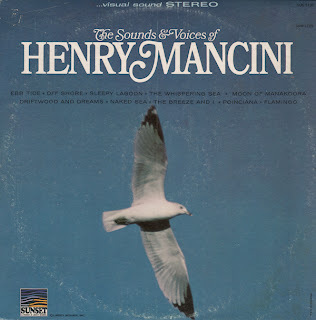 This is a later attempt by Mancini to cover all of the great "exotica" songs. 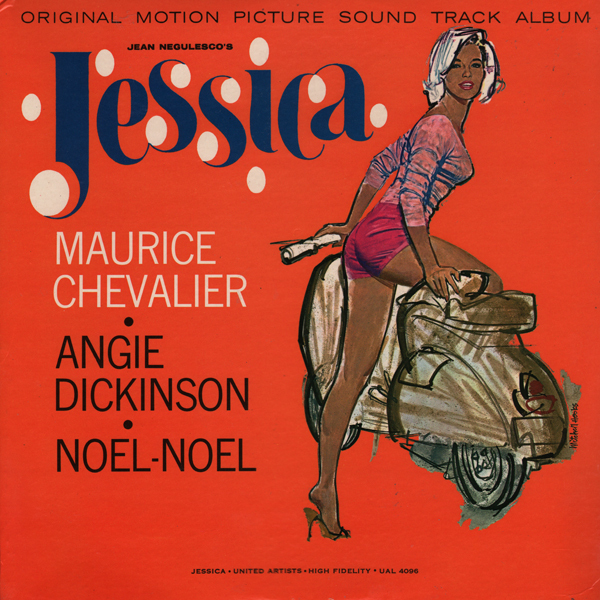 The vibe of this album is different from his earlier efforts in the late 50s or early 60s. The sound, like the sample I've posted above, is subdued, quiet. Good stuff! 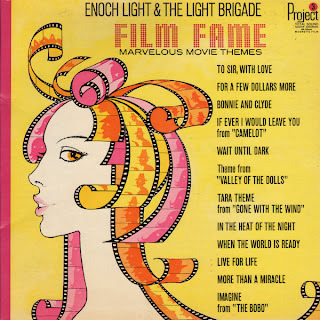 There are a few space age treasures to be found on this early 60s Italian movie sound track. 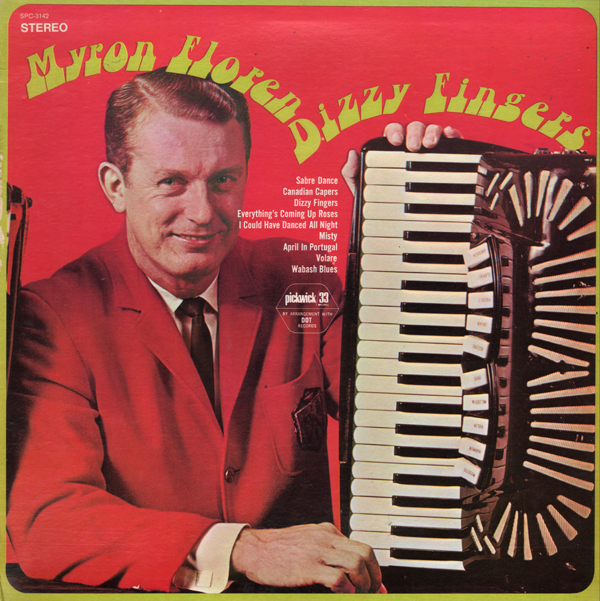 Myron Floren was best know as the accordionist on The Lawrence Welk Show between 1950 and 1982. 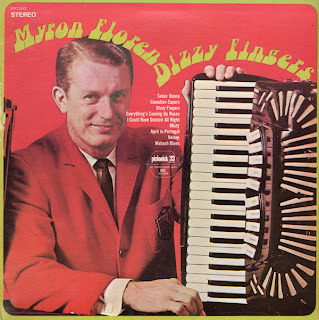 I've got several albums produced by members of The Welk Family. 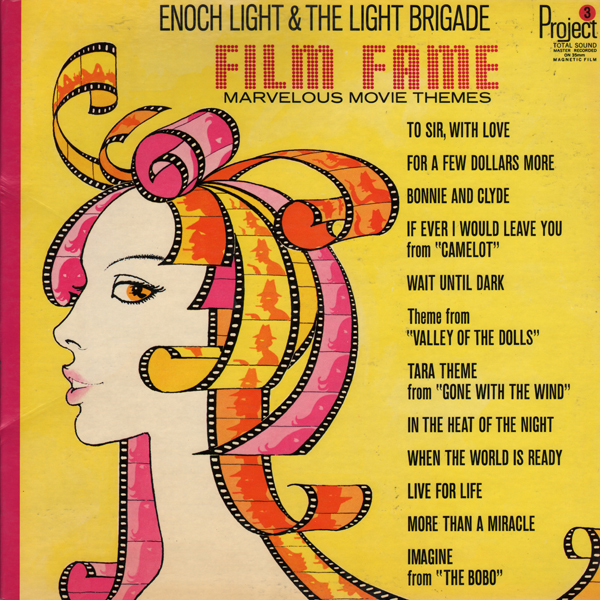 On these albums, the artists step outside of their "musical" Welk Show roles to experiment a little. This is one of those albums. Overall the tracks are great space age fun. The "orchestra" sounds like a four/five piece band. 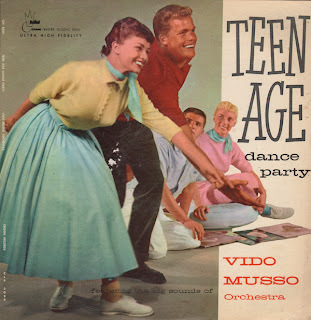 Unlike many records sold to teens that don't deliver the goods, this one does. 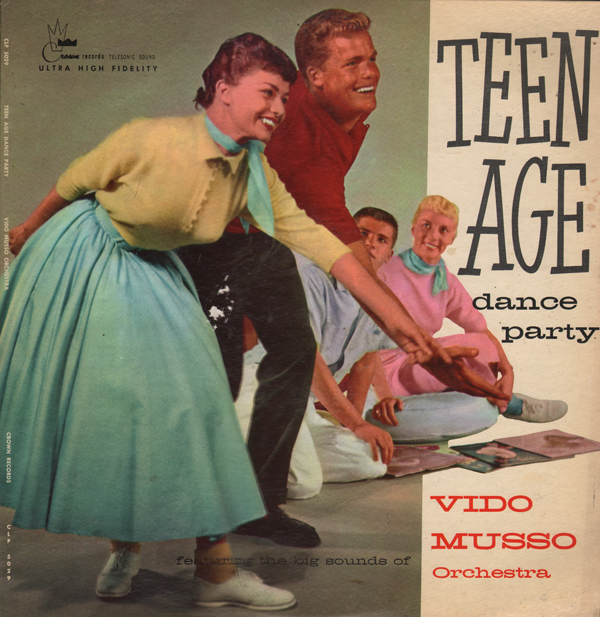 Vido Musso's group consists of sax, guitar, bass, drums and organ. Apparently recorded in a room with a single mic(?) the sound has a great budget lounge feel to it. From the January 25, 1960 Billboard: A joint promotion between RCA Victor and Breck, manufacturer of hair shampoo, etc., has resulted in a 38 per cent increase in sales for Breck hair preparations, according to the latter. Promotion offered purchasers of Breck products an RCA Victor LP, containing sides of Harry Belafonte, Perez Prado, Mario Lanza, etc., for $1 (monaural) or $1.25 (Stereo). 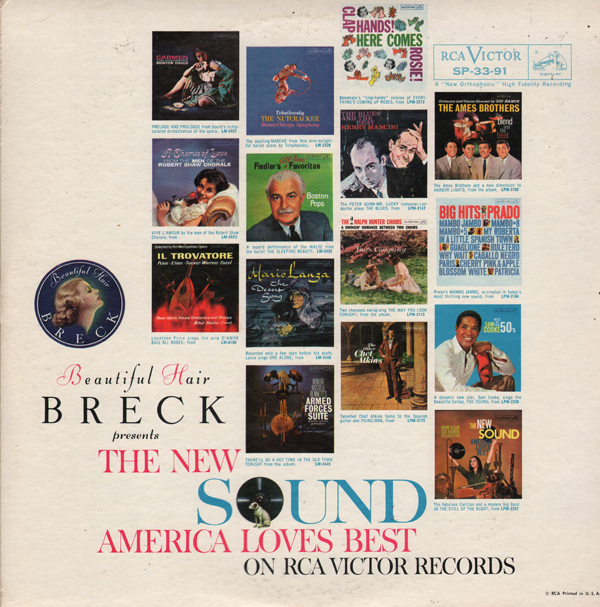 Victor and Breck publicized the promotion via cross advertising in magazines and on TV shows. Promotion was the largest-scaled premium promotion the company has ever undertaken. 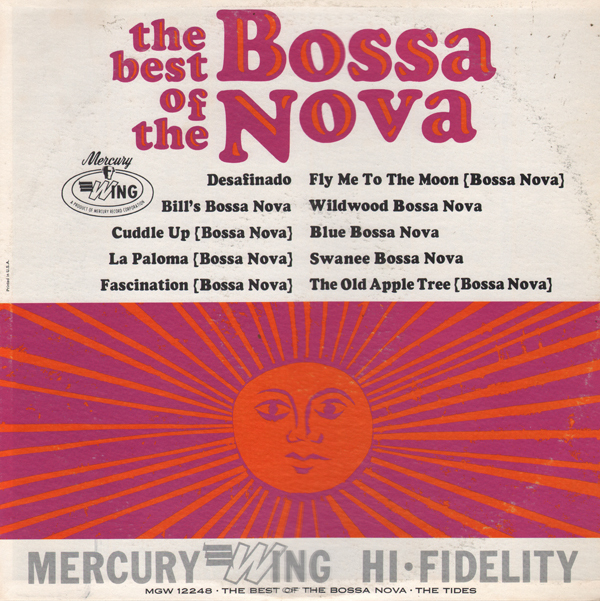 Looks like budget Bossa Nova, but it's not. 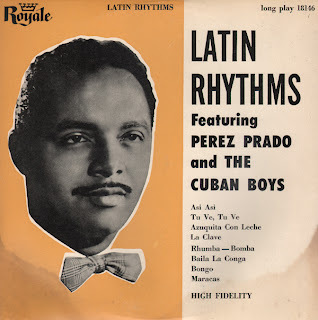 The LP features a variety of sophisticated jazzy approaches. No mention on the cover of the personnel that made up The Tides. They were one tight session group. 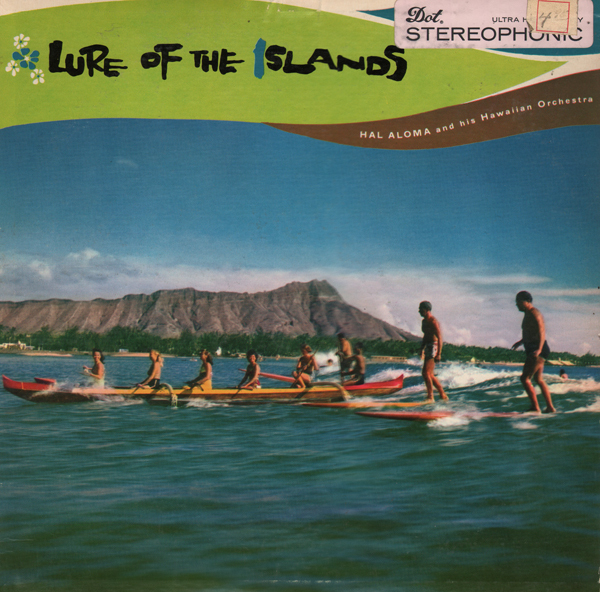 There are Hal Aloma downloads being sold under this title, but they are not from this album. This LP pretty straight forward pop/traditional Hawaiian. 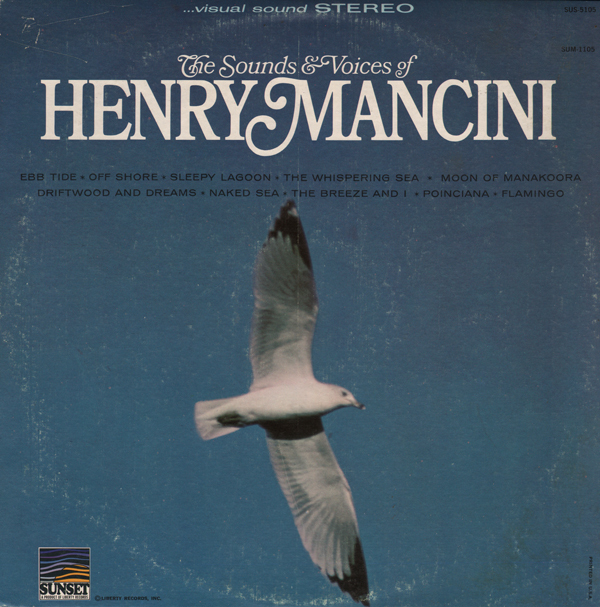 Tahitian Drums is an unique track on the record. 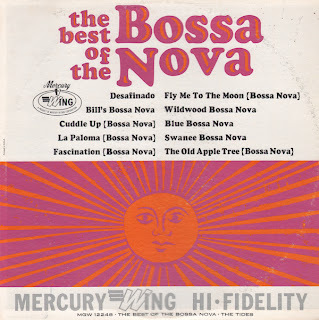 The tracks list on the side one were reorder so that they do not match the list printed on the back cover.